Beyond economic and financial cycles, ESG as a long-term investment theme has become mainstream and institutional investors such as Pension Funds cannot ignore it anymore. ESG being multi-dimensional, they will need to adopt a holistic framework to make the most out of it. When investing through the ESG lens, Pension Funds should not only take into account performance, i.e. how to get exposure to long-term growth trends embedded in ESG, but also risk, i.e. how to use ESG as a hedge against long-term risks, and last but not least, engagement, i.e. how to finance trends essential to the future of our planet. While the use of ESG strategies as a hedge against long-term risks such as climate risk is undeniable, the contribution of ESG investing to better performances in the long run is harder to prove by research academics. Findings are subject to interpretations, depending on the ESG scope (E, S or G), the methodology, the selected regions and the time periods. However, our latest study on ESG equities tends to demonstrate that best-in-class ESG portfolios outperform worst-in-class ones since 2014, particularly in the Eurozone and North America. 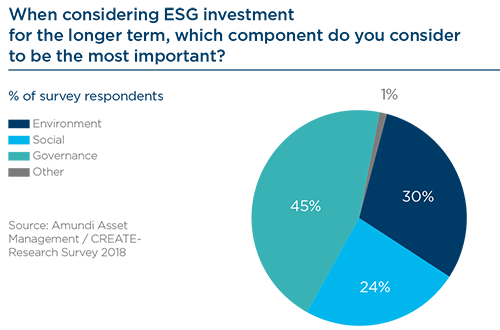 The persistence of an ESG reward over time and across regions also indicates that ESG is moving from an alpha source of performance to a beta one, becoming a performance factor to be integrated in a multi-factor approach. Beyond performance and risk, ESG is also a matter of engagement, paving the way asset owners can contribute to build a better future for the next generations by financing the adequate sectors. Impact investing represents a good way for Pension Funds to achieve this goal and to get a measurable impact of their invested assets. In that respect, the integration of the UNSDGs2 framework into an impact investing approach is very innovative and illustrates how an asset owner can align his investment goals with the societal trends that will shape tomorrow’s world. The innovation road on ESG investing is still very long to go. 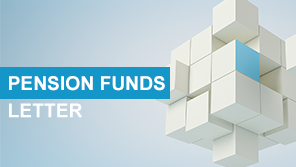 Partnership initiatives between Pension Funds and Asset Managers are key to explore these new territories and discover new investment opportunities along the way. Launched in 2006, the UN-backed Principles of Responsible Investing are now supported by nearly 1900 asset owners, asset managers and their service providers worldwide. At the 2015 COP21 Paris conference, 195 countries committed to reduce carbon emissions to achieve the 2° Celsius scenario. In the same year, the UN also issued a new implementation framework for its 17 Sustainable Development Goals aimed at bolstering infrastructure spending, ending poverty and making the planet greener. Pension plans are now adopting a holistic investment pr ocess where ESG factors sit beside financial factors, such that the assets are managed from a total risk–return perspective. ESG is pivoting towards mainstream. No longer a box-ticking exercise, it is a hard-nosed response to the rise of unfamiliar risks. The pace is faster in equities than bonds (see INSIGHTS next page). Such ESG integration is now occurring in three ways: using exclusionary screens to remove companies or industries not aligned to investors’ ethical goals; evaluating all companies along ESG measures; and targeting specific social or environmental goals on top of financial returns. All this is done in the belief that ESG not only delivers better-informed decisions and credible outcomes. It also acts as an early-warning system for fat-tail or far-off risks that are hard to model statistically, owing to their long-term and infrequent nature. Finally, taking an activist stance on governance – by exercising voting rights and strategic engagement – can deliver longterm value while exercising responsibility as an asset owner. Worldwide, some $20 trillion are now invested based on ESG criteria. When asked to rank the individual components of ESG in terms of their importance to pension investors, 45% identified ‘governance’, 30% identified ‘environment’ and 24% identified ‘social’. However, the three are viewed as mutually reinforcing, not exclusive. The starting point for ESG investing is governance. It forms the basis of strong environmental and social standards. It plays a key role in understanding how the company’s vision and business practices are aligned to delivering the sustainability goals. Critical to all three is investment stewardship that promotes active engagement with companies to protect and enhance the value of their shareholders’ assets. Ethical exclusions without engagement have not delivered good returns for many pension plans. As yet, there are no performance data going back far enough to confirm if ESG is a factor that drives risk and return in a systematic way over a long period – like traditional factors, such as value, momentum and low variance. But ESG exposures are still deemed to be conveying information about future risks that are not captured by statistical models. The case in point is the current large reserves of fossil fuels. These could turn into ‘stranded assets’, as the global economy transitions towards a low carbon future. ESG is pivoting towards mainstream. No longer a box-ticking exercise, it is a hardnosed response to the rise of unfamiliar risks. Opinion and evidence differ over whether ESG adds value. For most investors, it is a relatively new phenomenon. Only over time, its impact will become more evident. But its role as a risk mitigation tool is clear. Statistical models show that stocks in the worst ESG quintiles have total volatility that is higher by 10-15% and betas that are higher by 3%. In the near term, one key challenge is the paucity and reliability of ESG data. They emanate from a diversity of sources and do not follow uniform definition and data collection practices. Data vendors use different definitions that don’t – as yet – fit into a standardised format. Evidently, there is over-reliance on self-reported data, which encourages companies to report favourable data or opt out completely. That does not detract from an important recent develop ment. Large pension plans are already benchmarking their equity investments against a global equities index that selects best-in-class companies that are solving ESG issues. 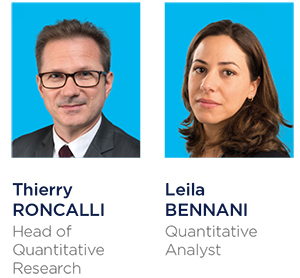 Statistical models show that stocks in the worst ESG quintiles have total volatility that is higher by 10-15% and the betas that are higher by 3%. So far, most of the research has focused on the relationship between ESG and equities. That is now extending into credit markets and bond markets. The UN estimates that an annual financing of around $3-5 trillion will be needed to meet its sustainable development goals. The bulk of the new money will have come from the private sector. This has turned the spotlight on green bonds. As part of reducing our carbon footprints under the Dutch Sustainable Development Goals, we have started making allocations to green bonds issued in Belgium, France, Germany and the Netherlands. Equity markets have started to become a solution to the climate change problem. But bonds markets are way behind in delivering the targeted financing. Their growth has been exponential but not enough. From a base of nearly zero in 2010, the global issuance is set to top €225 billion in 2018. Their benefits are obvious: they support projects that target environment benefits on top of other sustainability goals. At a practical level, however, green bonds are not without challenges. They offer low yields and spreads within a wider credit portfolio, since the issuance comes mainly from government sponsored entities with strong collaterals. Furthermore, there is no widely agreed definition of green bonds. This causes confusion among our plan trustees. Finally, our trustees prefer investments that are tried and tested by time and events. Green bonds lack the track record that can raise their comfort level. On the flipside, our green bond investments have been able to pursue an overt green agenda – especially on carbon reduction – by mimicking the risk profile of a global corporate bond index. Given the scale of investment needed in upgrading infrastructure in America, Europe and Asia, green bonds have a great long-term future. But before then, they will suffer the usual birth pangs. 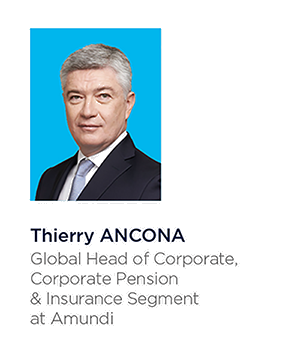 Once again, Amundi and Create-Research have partnered in the Annual European Pensions Survey to provide invaluable insight on what pension plans are thinking and how they are faring in today’s complex market environment. Political risks and the rise of populism (Italy, Brexit) are symbolic of fading trust in the European Union as an institution. The robust long-term structural political unity for which it was designed has yet to be achieved. It seems that the EU is missing an opportunity to carry out the structural reforms that would enable it to shape its role of stability, unity and protection for the region in line with the rapidly changing challenges of today’s world. As many countries are beginning to pull away from the postfinancial crisis era, unconventional monetary policies are coming to a close. But following the optimism fuelled by the recovery experienced last year, the European economy has slowed to mediocre performance this year as it has become weighed down by external factors, notably political. Political risk has gone from being a short-term disturbance to taking centre stage in a more fragile economic and financial market. Long-term risks emanating from global tensions related to trade agreements, the migration crisis and ongoing uncertainty surrounding Brexit all pose major challenges for the economy and now dominate. The challenge for investors is how to integrate this into the investment process. Moving forward, investors can expect increased volatility as we accept that in the event of another recession, central banks can no longer play the monetary policy card so effectively. The exceptionally low interest rate environment is set to prevail, leading to lower returns in equity and bonds. Investors are struggling to find signposts to where to seek good returns, except perhaps for India, where growth is still on an upward trajectory. In the future, investors will be forced to rethink their approach, to adapt and redraw frontiers. The traditional walls of investing should be knocked down to give way to a fresh approach, where innovation will be key. In the fixed income universe, we see rising demand for an alternative approach using opportunities to be found across the full credit spectrum from Investment Grade to High Yield, from public to private debt markets. diversification as a way to capture performance. Instead, the story will be about a move to risk factor investing. But among all the pointers provided by this report, responsible investment shines through as a mainstream requirement. 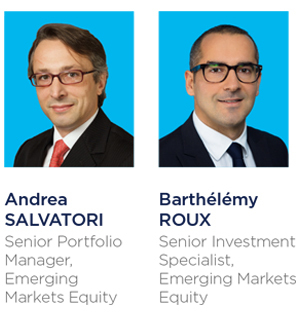 Investors, in particular pension funds, are affirming their expectations loud and clear for long-term sustainable investments to be an integral layer in their portfolio management. ESG can no longer be overlooked, not only from a long-term performance angle but also from a long-term risk management perspective. Amin Rajan has once again crafted an excellent overview of where pension plans are right now and the diffculties they face as they move into a new phase. We hope you enjoy reading the report. Interest in ESG investing has grown incontestably in recent years. This study covers the analysis of the risk-return profile of ESG as a selection strategy on global developed markets, and the integration effects of ESG in an index-linked management process. Findings are contrasted for each E, S and G pillar, as well as ESG both on timing and region. However, since the start of 2014, we find a steep transformation in reward. Combined with growing investor interest in ESG, the transformation is of such a magnitude that we have taken a cross-section approach to determine whether ESG can stand up as a factor on its own. Until 2014, ESG best-in-class strategies provided neutral or slightly negative results. Focusing on shorter periods brings to light a positive selection effect on highly rated companies, sometimes combined with the underperformance of poorly rated stocks. We also found not a significant positive effect on drawdown reduction. The Eurozone and North America are particularly responsive to ESG integration, with a higher reward for governance and environmental pillars, respectively. Social began to be rewarded in 2016, and since then it is catching up. Extra-financial pricing is non-linear. For instance, in the Eurozone, this study reveals a S-shape performance payoff using portfolios sorted by both ESG and governance scores. The performance shape is different in North America, as it only displays a positive premium in environmental and ESG best-in-class portfolios, while for the governance and social components worst-in-class are penalized. In Europe ex-EMU and Japan, extra-financial results are mixed. The performances in Europe ex-EMU are not significantly different from zero; it also appears that the integration of E, S and G components is country-specific. In Japan the best-in-class excess returns are slightly negative despite the Abenomic’s reforms. The results obtained are not stable, as they vary with the weighting schemes. ESG integration in the optimization process entails a trackingerror risk and broadly brings positive excess returns over recent periods. The performance results are in line with the sorted portfolios analysis and also shows an increasingly positive effect on drawdown reduction. Tracking error induced by this process is limited and quite stable over time. Governance’s contribution to tracking error is higher than the other two pillars. Starting from 2014, the emergence of ESG performance raises the concern of the mutation of ESG from an alpha source of performance for active management to a beta source, feeding the booming factor investing industry. To evaluate the integration of ESG within a multi-factor framework, we performed both cross-section and time-series analyses. We demonstrate that the explanatory power of extra-financial factors used as stand alone variables in a regression model is slightly above other style factors. On the other hand, the introduction of ESG and pillars (E, S and G considered individually) in multi-factor regression models does not significantly change the R-squared compared to the ones obtained by the traditional five-factor model (size, value, momentum, low volatility, quality). Nevertheless, we note that the ESG factor is significant in the Eurozone. Therefore, we introduce a selection methodology in order to identify the ranking that should be attributed to ESG among general style factors. ESG appears to be the first factor to be selected in the Eurozone, followed by the value, while in North America the first factor was quality and the second one was ESG. This analysis demonstrates the existing interaction between extra-financial and historically identified factors. Subsequently, a correlation study was performed, revealing that the integration of ESG in Eurozone participates fully in the diversification effect. Given the increasing interest for a sustainable investing, the integration of extra-financial factors makes it possible to lay a foundation stone for future active management approaches. The perspective of building relevant pricing models using a different set of parameters, namely the extra-financial ones, is clearly relevant in the Eurozone. Even if this assertion is more questionable for North America, in a forward-looking perspective, ESG appears to be a very serious candidate to join the very exclusive club of style factors. The above graph represents the performance of the five quintile portfolios sorted by their ESG score. Portfolio 1 corresponds to the best-in-class ESG stocks while Portfolio 5 corresponds to the worst-in-class ESG stocks. For instance, best-in-class ESG scores posted a performance of 8.6% during the 2010-2013 period, while worst-in-class ESG scores posted a performance of 10.0% during the same period. We notice a big difference between the two periods. 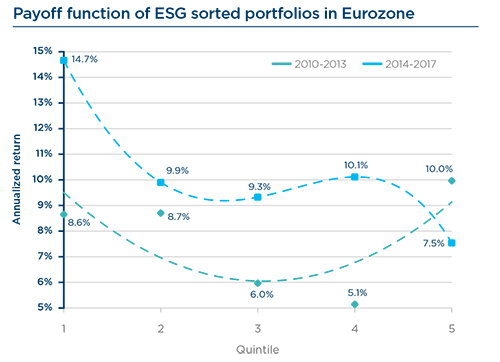 While we observe a U-Shape profile before 2014, best-in-class ESG portfolios clearly outperforms worst-in-class ESG portfolios since 2014 in the Eurozone. The persistence of ESG performance across time and regions raises the question of the mutation of ESG from an alpha source of performance for active management to a beta one. Multiple studies have now confirmed the relevance of non-financial metrics when investing in both Developed Markets (DM) and Emerging Markets (EM) and the “mainstreaming” of this matter in order to achieve sustained alpha is met with an ever-increasing interest from investors in Environmental, Social and Governance [ESG] themes. 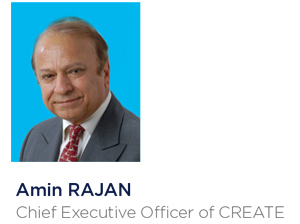 This powerful and exciting confluence is worthy of a moment of reflection, evoking the essence of our role as investors: shareholders give us their savings, making us responsible for their financial long-term objectives and this endeavour in turn must spur us to help companies focus on the long term. To meet these challenges, it is essential that we couple an innovative investment process that encapsulates ESG factors alongside financial factors. This integration is crucial, even if we acknowledge that there is no consensus on the methodology to include ESG factors within financial analysis. Emerging Markets are no exception and the incremental effect of ESG factors could be even more prevalent in this asset class, not the least because of a “low base” effect; companies in developing countries have exhibit lower levels of “E”, “S” and “G” as we will detail later on. The significant outperformance of ESG indices in the Emerging Markets space – much larger than in the developed markets has increased awareness of the applicability of ESG within EM. 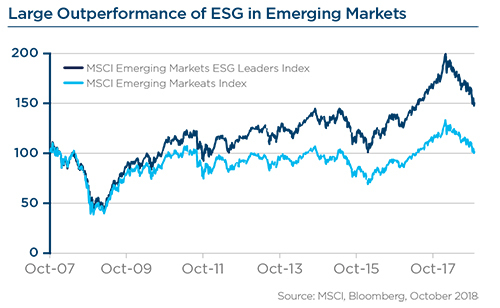 The MSCI Emerging Markets ESG index has significantly outperformed its standard index counterpart (see graph below). According to a study from Cambridge Associates4, there is a consistent evidence that ESG-based stock selection explains a significant part of this excess return after controlling for other factors. This empiric observation could be the tip of the iceberg, as it seems that there are quite a number of structural factors at work. ESG coverage of Emerging Markets has expanded and new global indices have been launched in recent years (MSCI Emerging Markets ESG index was launched in June 2013 for instance). Corporates’ Corporate Social Responsibility (CSR) disclosure improvements are encouraging even though there is still room for improvement. Frequently cited issues include number of reporting companies, quality of data and in some instances language. Stock Exchanges have been implementing CSR reporting guidelines for listed companies. Brazil and Peru require ESG disclosures as a criteria for listing. Increasing awareness on the part of local asset owners and managers. Stewardship codes have been increasingly adopted by asset managers, notably in Asia. Meanwhile, China’s relentless support of clean environment techno logies is spurring strong growth in environment-friendly thematic investments. Global companies deriving sales from Emerging Markets could be acting as a conduit for best practice dissemination. For instance, a “Duty of vigilance” law was passed in France toward reducing supply chain abuses by multinationals. Many have questioned the materiality of the ESG factors, that is to say, how much influence these factors have over a company’s business prospects, either negative or positive, and what are the implications for investors. Several studies have tried to answer these questions. For instance, the Sustainable Accounting Standards Board (SASB) has developed a materiality map which allows investors to look at specific sustainability risks and opportunities on an industry-byindustry basis. Amundi has developed a proprietary framework where a total of 37 measurable criteria have been identified to have a material impact over corporate value drivers – either tangible or intangible – on a sector-by-sector basis. Corporate Governanceis usually the dimension that EM investors tend to focus on. Superior corporate governance has been shown to reduce a firm’s cost of equity5. ESG ratings show low scores in absolute terms in Emerging Markets compar ed to their Developed Markets peers, especially on governance. If companies in countries like South Africa have been an exception, low governance scores can be explained in many cases by the existence of cross shareholdings as family businesses or state ownership, where minority shareholders rights are often overlooked. For practitioners, key items to monitor typically include multiple share classes, related party transactions, aggressive accounting practices or any measure pertaining to the alignment of interest. ESG ratings show that the biggest difference between Emerging Markets and Developed Markets companies are on the environmental side, but the lower scoring is prevalent across the board, hence the scope for improvement is prospectively an exciting alpha extraction opportunity. 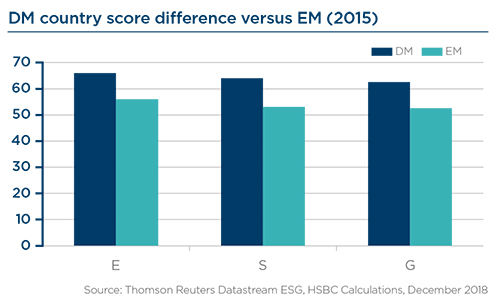 ESG ratings show that the biggest difference between Emerging Markets and Developed Markets companies are on the environmental side. Environmental criteria, including environment mana gement practices –inclusive of pollution- and resource efficiency, demonstrably impact a firm’s operations and financial performance, even though historical statistical evidence is still lacking in Emerging Markets. Two recent examples highlighting the economic performance impact from issues over environmental resources include: (i) recent boycotts of fizzy drinks from Coca Cola and Pepsi by more than a million traders in India, after claims the companies were using scarce water resources of the south Indian state of Tamil Nadu. (ii) a large mining company in Russia, which typically garners low scores due to its largescale pollutant emissions, is facing a $3.5bn investment into a sulphur clean-up project; undoubtedly good for the surrounding city, but negative for the company’s cash flow availability. These are all examples of the cost to investors of poor ESG scores. It must however be acknowledged that, depending on the level of economic development and the availability of financial resources at companies, the cost of protecting the environment may still be relatively high especially when technical expertise is not locally (affordably) available. On the other hand, notable items whose materiality on financial performance has not been quantified include corporate social behaviour, such as worker-safety standards for instance. This reality needs to be analysed in the context of labour costs remaining one of the key competitive advantage of many companies in Emerging markets. Another notable fact is that large-scale buyers, often located in developed countries, have bargaining power vis-à-vis producers in Emerging Countries. This complex issue is being gradually given attention to, and awareness of the need for heightened oversight over global supply chains in industries such as information technology or the textile industry for instance has been rising. The field of ESG in an Emerging Market context is dynamic and shows great promise for both shareholders and stakeholders alike. It is an exciting time for practitioners as the paradigm shift from pure returns to sustainable returns gathers momentum. Regulators have started to incorporate responsible investment considerations into their recommendations or into bnational legislative systems, with specific implications for pension funds. These recent regulatory initiatives have brought about questions and debate on a number of elements, among which the notion of fiduciary duty. Indeed, if the latter had historically been mostly associated with profit maximization, regulators are increasingly shedding a long-term light on it. Regulators have already implemented measures, both in the U.S. and Europe, demonstrating their will to integrate this fundamental evolution of the concept of fiduciary duty. At the federal level, the U.S. Department of Labor’s 2015-01 Interpretative Bulletin has brought about a corrective light to the Interpretative Bulletin 2008-01 by making ESG considerations a proper component under ERISA’s fiduciary duty,1 when they might potentially influence pension plans’ investment risk and return or economic value2. At the European level, the IORP2 Directive has laid the groundwork for the integration of long-term ESG considerations into pension funds’ operations. This Directive, which entered into force in 2017, makes mandatory for pension funds the assessment and reporting of ESG and climate change-related risks into investment decisions. The European Union also has a new initiative on the way: the Action Plan on Sustainable Finance. Following the publication of the sustainable finance recommendations of the High Level Expert Group (HLEG), the European Commission has adopted an action plan on sustainable finance, which targets all types of investors, including pension funds. The EU Commission aims to go deeper into the notion of fiduciary duty and to clarify how institutional investors and investment managers have a duty to consider the materiality of sustainability factors. Consulted by the EU Commission on this project, the EIOPA Occupational Pensions Stakeholder Group (OPSG) has welcomed the need to clarify the notion of fiduciary duty but has also formulated some concerns in particular regarding subsidiarity. EIOPA considers indeed that “national supervisors continue to be best equipped to oversee how pension funds manage ESG risks, in order to take account of local governance structures and sustainability preferences”. Although it is the ground for many comments and debates, the integration of ESG into regulation is clearly underway and pension funds now have to find a way to make the most of it. The clarification of fiduciary duty represents a turning point for ESG integration, which pension funds cannot miss. The clarification of fiduciary duty represents a turning point for ESG integration, which pension funds cannot miss. "In their everlasting search for yield, pension funds have broadened and deepened their exposure to credit since the end of the financial crisis and shifted to a pro-active approach to balance funding risk with a strategic asset allocation."